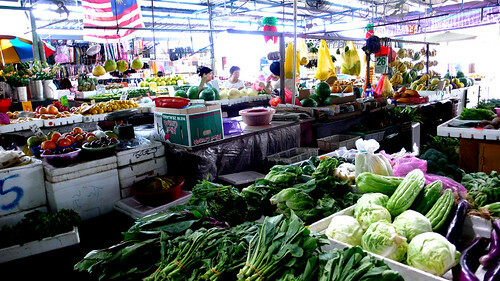 the scent of green bananas: market in kl. Posted by santos. This entry was posted on 20080411 at 4:29 PM You can skip to the end and leave a response. Is it my imagination or do those starfruit look like they're just incredibly juicy? Very pretty photos. hello ms. cybele, how are you? i didn't pick up any starfruit, even though they looked incredibly juicy and delicious. but i did get some other fruit which i will be blogging about soon, hopefully. i also found an interesting mentos flavour for you too! 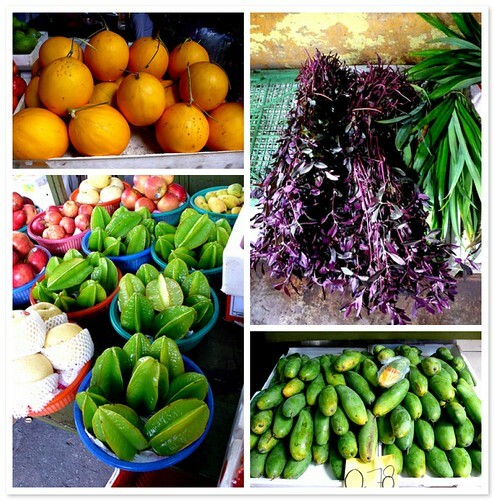 Great photo essay of the market Santos. I love custard tarts. Thanks so much for a great market report! 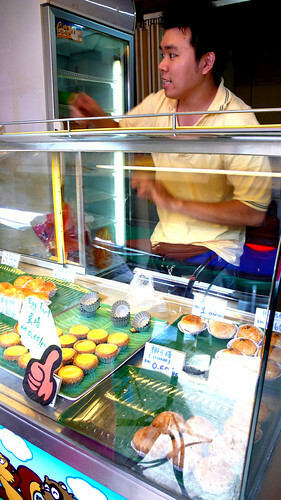 If I had my way, the market would be my first stop any place I visited. Unfortunately, not everyone shares my preference in that regard :( Anyway, I enjoyed your lovely little tour of the market in kl! Oh my. 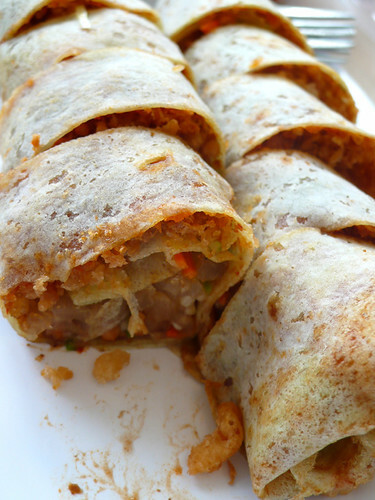 I LOVE pohpiah! 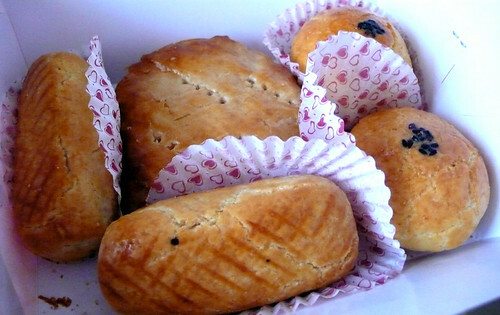 I am so wanting to eat some right now. Unfortunately, I can't find the "skins" anywhere here so definitely will not be able to make them anytime soon. 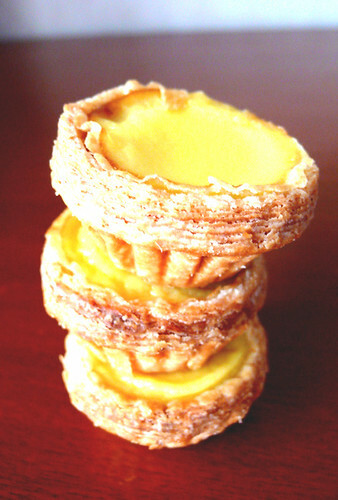 Mini egg tarts! They look scrumptious. And how do they use the smoked garlic? yeah! u went to the right place!!! 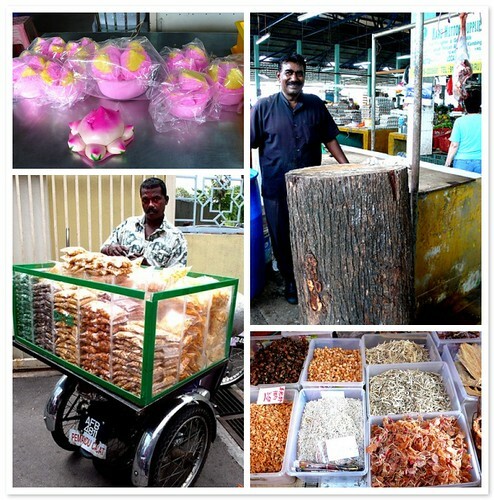 the local streets for street food!!! Those crispy 'batter bits' in the popiah are pork crackling. Now you know why you liked them so much. 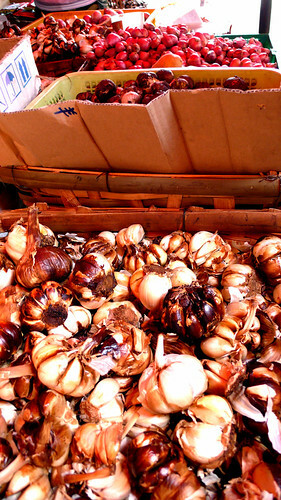 Smoked garlic - use in a stir-fry (char yoke with long chili peppers) or pound into a curry paste! And they're pretty amazing roasted, too. hi barbara! me too. a good custard tart--mini or not--is worth its weight in gold. mamabok, me too. i love all sorts of fresh lumpia type things, this one is very good. cathy, i know how you feel. i had to butter up a few folk with the promise of other types of shopping afterwards. hi mila! i know they use them in stews and robyn has other uses in her comment. hello christine, i heart salted eggs. this is the first time i had a salted egg yolk in a sweet(ish) pastry. it was very good, but very rich. tommy, i wish i had more time to explore more streets and more food. hi robyn, thanks for the suggestions. pigskin? awww. i'm actually sort of disappointed. i was hoping it was 1) halal, and 2) something so magical and mysterious i could never reproduce it and would be forced--forced, i tell you--to return to KL to have them again. also, i owe akatsukira an apology--you were right! pig they are! Oh me too, custard tarts! good morning! my world looks even prettier through your lenses :) was going to have cereal for brekkie, then saw this and *had* to have nasi lemak instead! omg pork cracklins in the popias! this is right up my alley. Sister's Popiah is halal, hence do not contain pork in it. the crispy bits are deep fried flour batter.